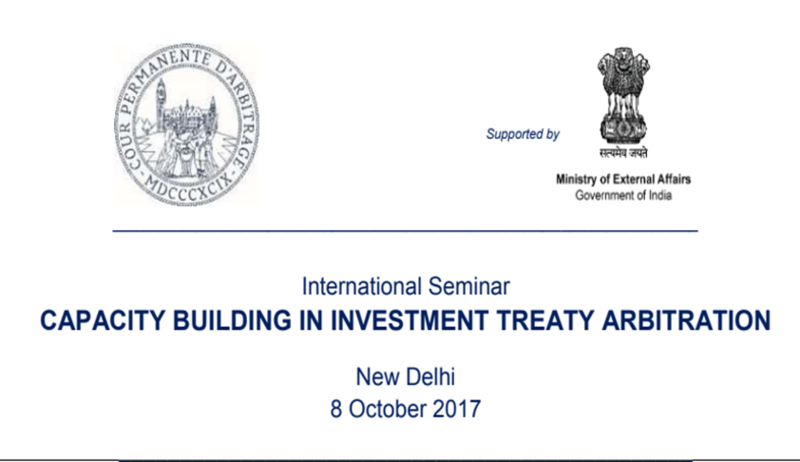 International Seminar on Capacity Building in Investment Treaty Arbitration organised by Cour Permanente D’arbitrage supported by Ministry of External Affairs, Government of India. There is an important need for officials in all branches and at all levels of government as well as judges, lawyers and arbitrators to learn about and stay up to date on new developments in investment treaty content and investor-state arbitration law and practice, and understand what those developments mean for them in their respective roles. This workshop aims to fill this need, and is designed to introduce participants to basic concepts of international investment treaty law and investment treaty arbitration. Judges, arbitrators and lawyers who intend to build expertise in this area of the law.